Till date Samsung Galaxy S4 has the most powerful hardware on the board and that is the reason we have our expectations about the pricing of this phone to be very high as compared to the prices of previous Galaxy phone which has been released. 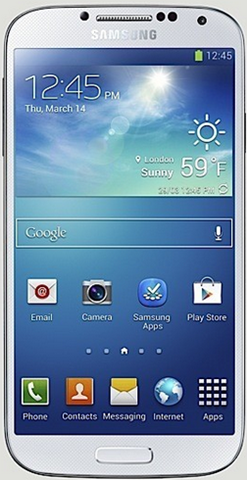 Samsung Galaxy 4 not only outruns the other phones in terms of power but also in the areas of software features. The hardware includes 1.9 GHz of Dual Core Qualcomm Snapdragon processor with 2GB of DDR3 RAM with the screen-size of 5 inches which offers the HD display of 441 pixels per inches. It operates on the latest Android operating System which is Jellybean (Android v.4.2.2). Features like Airplay, Dual Camera Mode, Sound and Shot, Drama Shot, Airview and similar other features gives huge advantages to Samsung Galaxy S4 and so if this phone is priced higher than HTC One or Sony Xperia by a small margin then it is justified and users will not hesitate to go for it. We recently reported that HTC One will be available to the user at the price of 42k INR approximately and thus we also concluded that Samsung Galaxy S4 will also be priced above that, especially we already heard about the rumors of the availability of the Samsung Galaxy S4 at the price range of 55k to 60k INR. But actually the whole real story is the other way around, when we know that Samsung is about to release this phone in the Indian market on 27th April, 2013, we have also heard the price of this product will be less 40K INR (which is really astonishing and thus a market disrupting for HTC One mobile phone). We will suggest that anyone who is planning to buy HTC One over Samsung Galaxy S4 should wait for a while as we expect to see the price cut in HTC One rates very soon is this news some out to be true (because this pricing by Samsung for their S4 giant is just a spoiler alert for HTC One).